NWB annually supports a Wheat Ambassador scholarship program with the University of Nebraska-Lincoln. The purpose of the program is to educate college-aged students about the wheat industry in Nebraska and the importance wheat holds as an agriculture commodity. Ambassadors learn about wheat production, nutrition, bio-technology, research, marketing and education. The ambassadors then take what they’ve learned and work with wheat producers and NWB staff at promotional events. They also deliver presentations to elementary through high school aged students. The ambassadors are selected through an application process that includes a written application, cover letter, references and in-person interviews. The program lasts one fiscal year, with a new application process beginning again at the start of the following fiscal year. For their time and efforts, the ambassadors are awarded a scholarship to assist with their education. Hannah is a junior Agribusiness major at the University of Nebraska-Lincoln, with minors in Food Science and Animal Science. 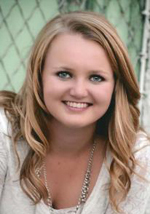 She grew up in Alliance, NE and developed a passion for agriculture through her years in 4-H, which led her to pursue a degree within the industry. She is thankful for the opportunity to serve as a Wheat Board Ambassador and is looking forward to promoting the wheat industry. She is most excited to share the many aspects of the wheat industry with elementary students, through hands on activities and interactive learning. Toni grew up on a farm near Albion, NE where they grew corn, soybeans, wheat, and alfalfa as well as raised Holstein steers, pigs, and chickens. She has also started her own Boer goat herd. She works on the farm with her parents and two older brothers, Casey and Jared. She loves agriculture and her family helped her grow her passion for the industry. This led her to major in Agricultural Education for the teaching option at the University of Nebraska-Lincoln. 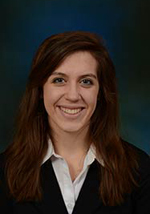 After graduating college, she hopes to teach high school agriculture and be an FFA Advisor. As a Nebraska Wheat Board Ambassador, she looks forward to informing youth about wheat and how important wheat and agriculture are to their daily lives. 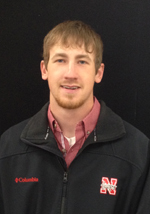 Marcus is a junior at the University of Nebraska-Lincoln pursuing a bachelor’s degree in the agricultural production option of Mechanized Systems Management with a minor in agronomy. He is from Hay Springs, NE. He grew up on his family’s farm and ranch where raise wheat, corn, sunflowers, and alfalfa, along with a cow calf operation. The past three summers he has worked the wheat harvest run from Oklahoma to his hometown which has given him a lot of first-hand experience with wheat production throughout the Midwest. After graduation he plans to return to the family farm where he will take over the farming side of the operation along with doing some custom harvesting of his own. As an ambassador for the Nebraska Wheat board, one of the things he looks forward to the most is using his experiences and knowledge of wheat production to educate others in the state about how important this crop is to Nebraska. Ashtyn is a sophomore Animal Science major from Alliance, NE. Her family runs a large cow/calf operation in the Nebraska Sandhills, and she recently began her own registered red angus herd. Ashtyn interned with Farmer’s Coop last summer which led her to applying for the wheat ambassador position. 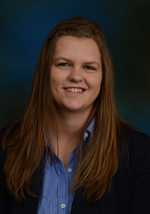 Ashtyn is very involved on campus serving as Block and Bridle Vice President, Collegiate Cattlemen Secretary, and a member of the Collegiate Farm Bureau, and UNL FFA Alumni. She is a past State FFA Officer and recently received her American FFA Degree. As an ambassador, she is excited to have the opportunity to educate students on Nebraska’s wheat production and advocate for the agriculture industry in this capacity. Morgan grew up on a farm near Friend, NE. 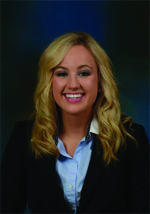 She is a sophomore at the University of Nebraska-Lincoln, College of Agricultural Science and Natural Resources. Her major is Animal Science (Business Option) with a minor in Agricultural Leadership and Communication. She is really excited to learn more about the wheat industry, meet as many people as she can, and teach our state’s children about agriculture through this ambassadorship.